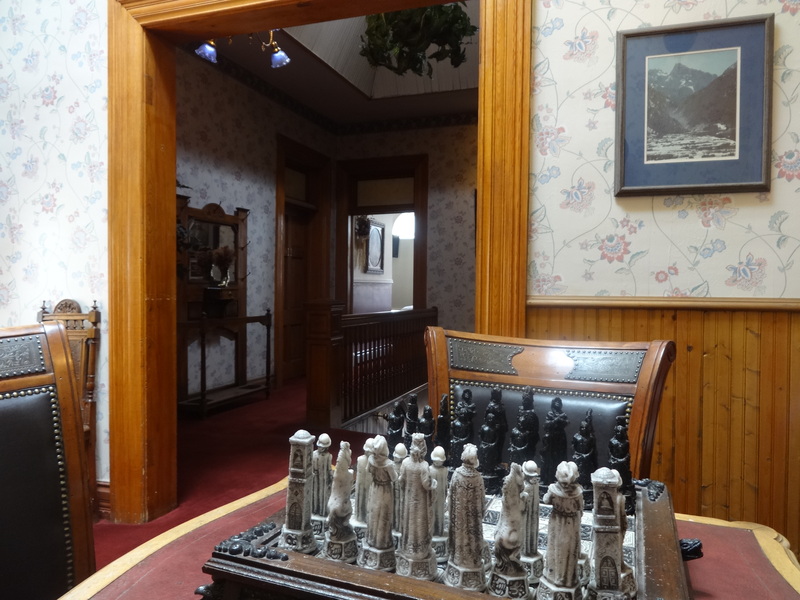 Durango retains its Victorian roots, plays them up actually, even if there is wi-fi and flat screen TVs in every room. 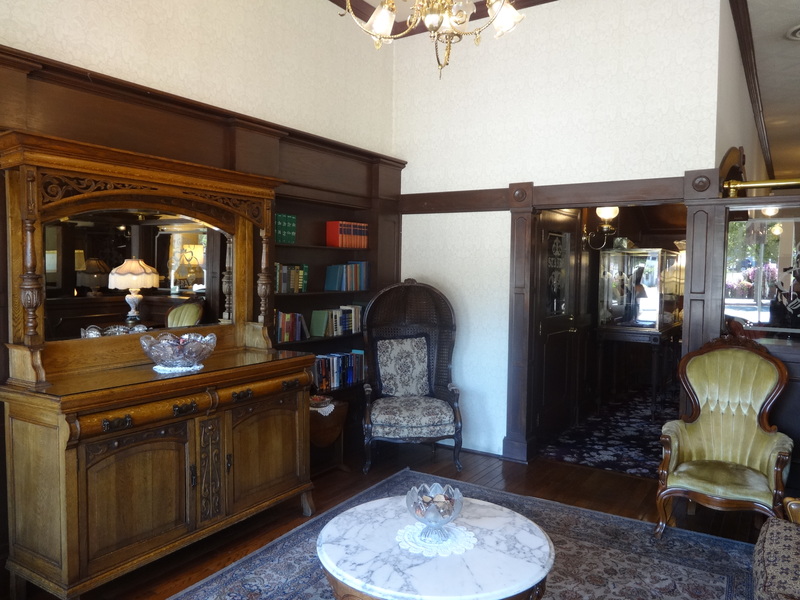 The library at the General Palmer hotel in Durango, the old west lives on. Mountain roads make photos difficult, as do the trees. 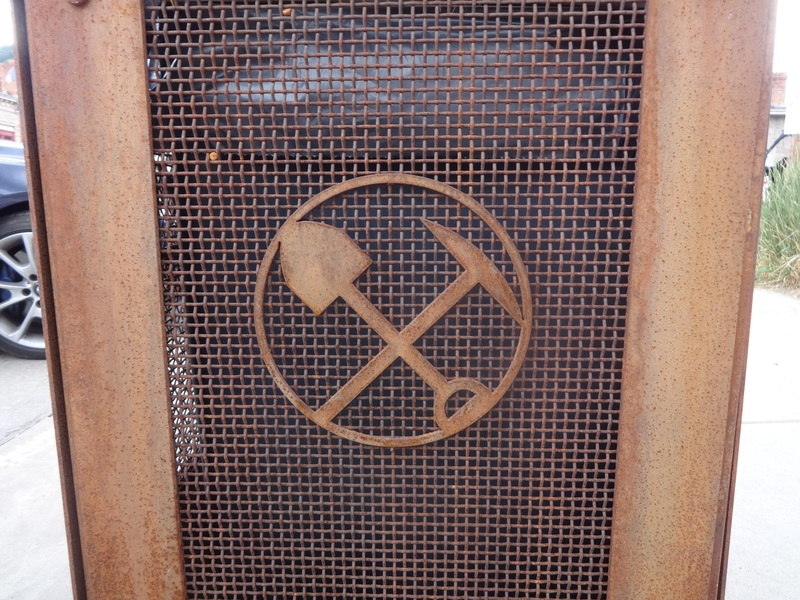 Silverton was purely a mining town, everyone here served the miners. 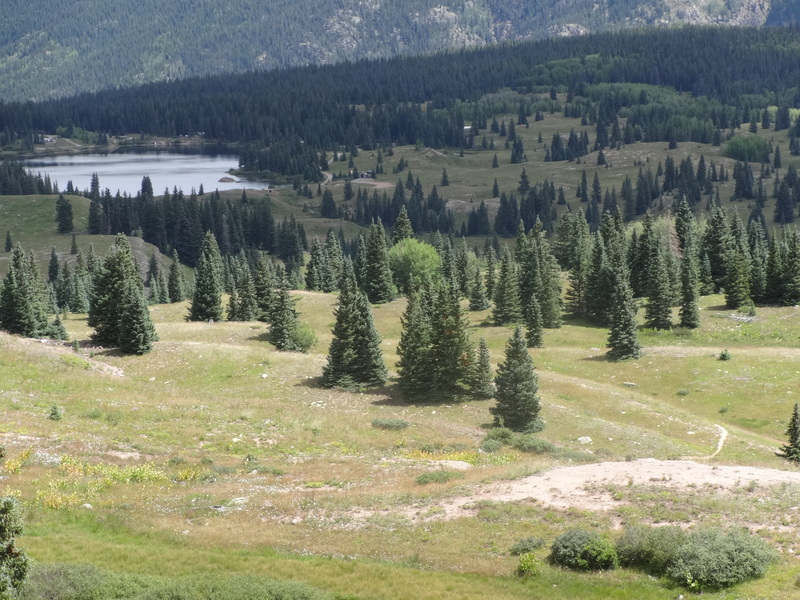 9300 feet and the mines were on slopes above that! It’s easy to feel out of breath. Now everyone here serves the visitors. Three groups of us: visitors who come to see someone they know; travelers who are en route to a destination, real or imaginary, and perhaps a change of life, and tourists for whom the sites are the destinations and what’s sought is some form of “insider” (been there, heard that, seen this) knowledge to take home. I fluctuate between traveler and tourist. Even the cast iron trash receptacles do their part to add a note of history to the scene. 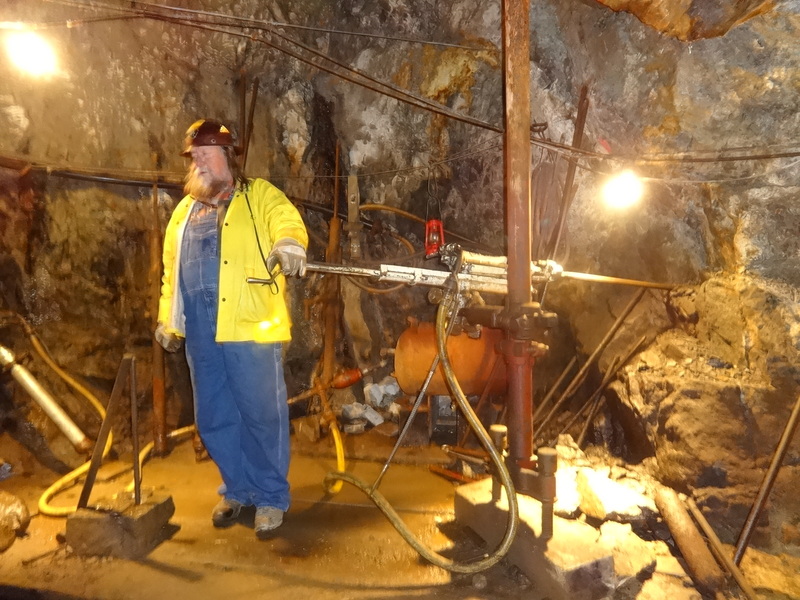 Mike is our guide for a silver mine tour. He says, Hundreds of gallons of water flow out of here every minute and I ask if it’s clean. Are you from the EPA, he asks? If you are there’ll be one less person going back up, and I say, That’s the last place I’d want to work. I thnk he believes me because I make it back up. 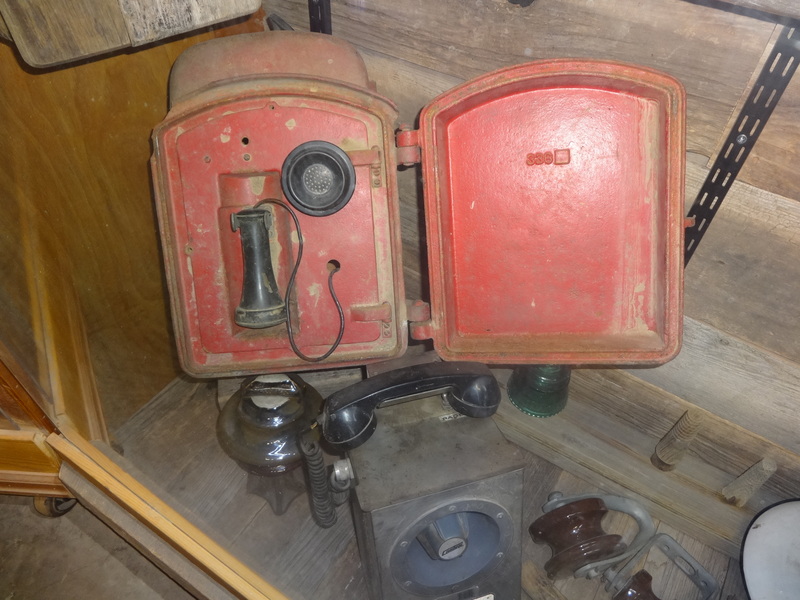 Not a cell phone but it strikes me that the 19th C had its own amazing technologies, more on a macro than a micro scale. 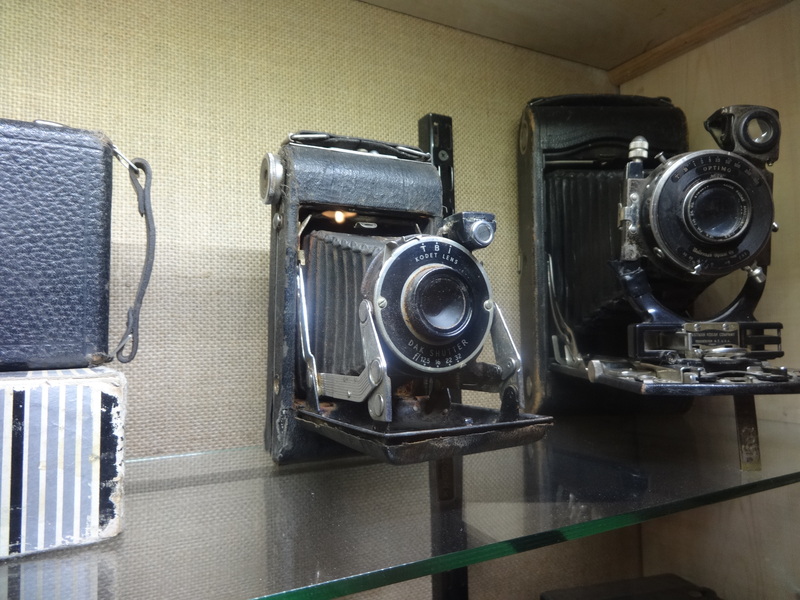 My first camera was a belows model like this one. 8 or 12 shots to a roll. 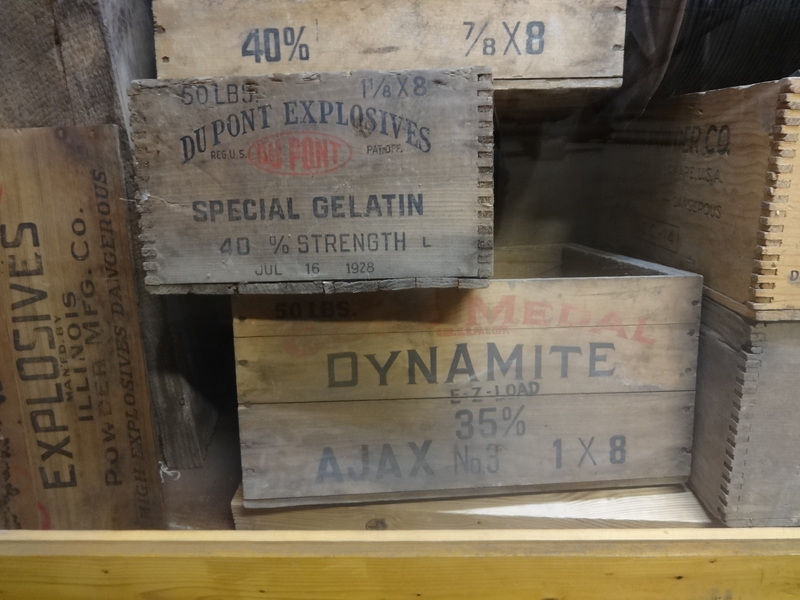 The dynamite makers on the boxes, Ajax and Dupont, are where my uncle worked, in Delaware, in the 50s and 60s, but he did accounting not dynamiting. 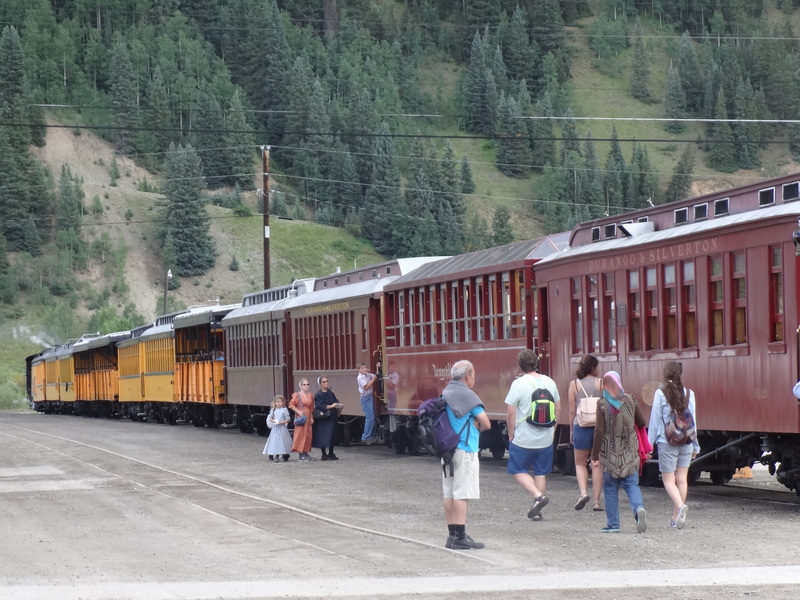 Silverton is the terminus for the train from Durango, still running on narrow gauge tracks but bring tourists instead of miners and supplies. 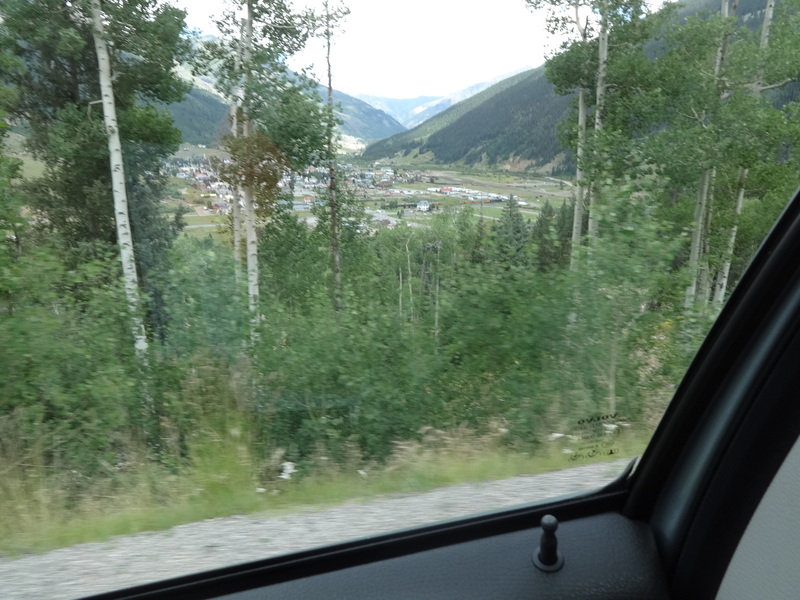 The valley is small and the train butts up against the surrounding mountains. 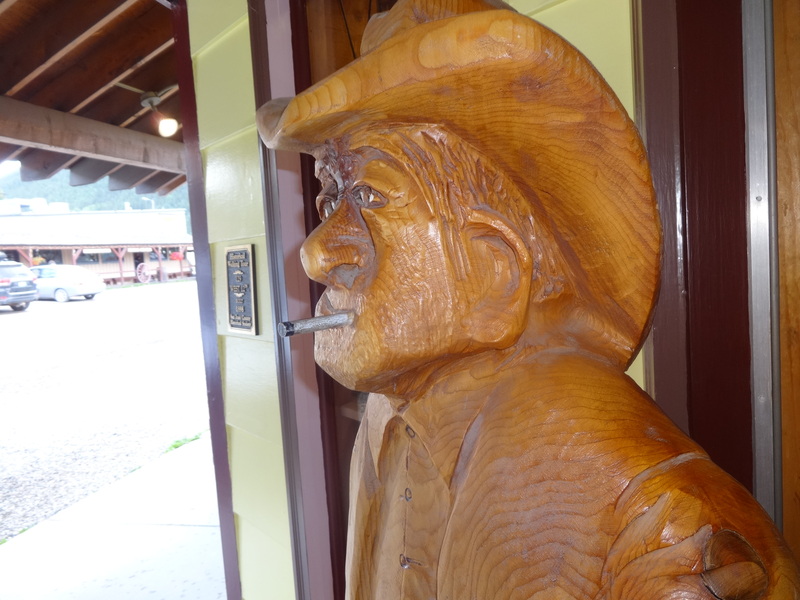 This fella’s smoked too many of those cigarettes: his complexio’is all gone to hell. 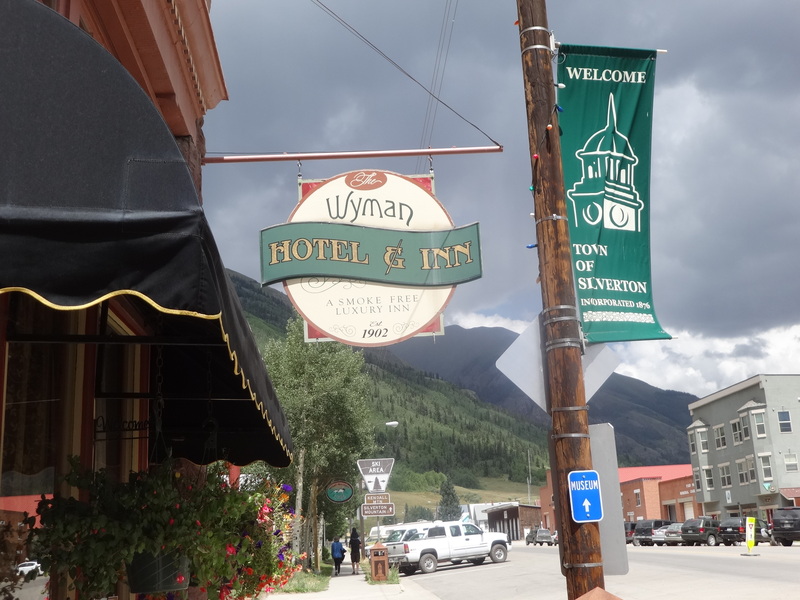 I stayed at another Victorian hotel, the Wyman. It had something like 25 foot high ceilings along with the wi-fi and the flat screen TV. My hotel for the night, on main street. Miners loved their chess games, when they weren’t doing 12 hours in the mine or drifting into the saloons for an after dinner beverage. 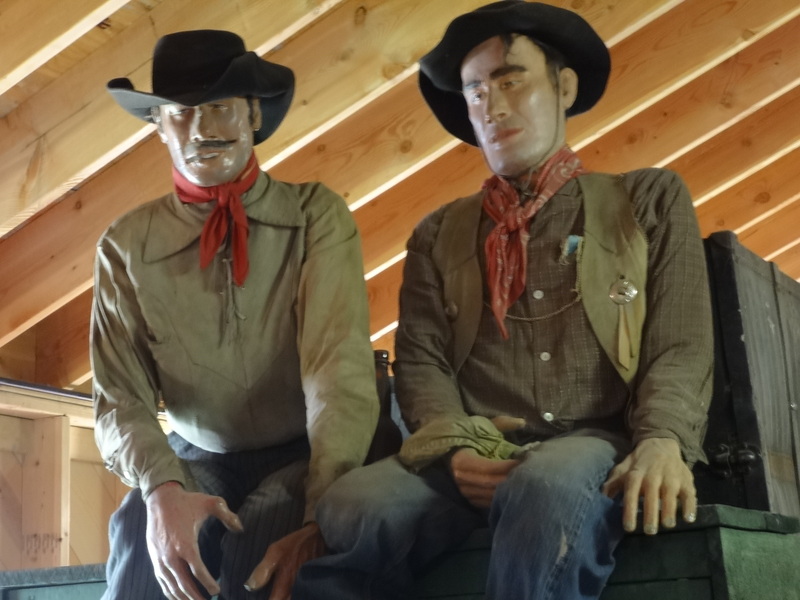 These fellows were heading my way, but it looked a little bouncy up there so I aimed my car toward Boulder one more time. 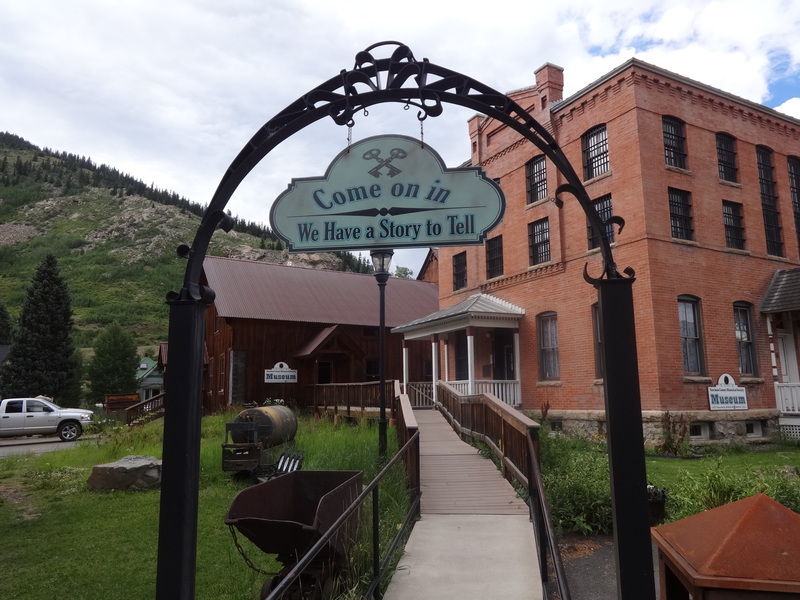 This entry was posted in In My Opinion: The World Around Us and tagged Durango, gold mining, silver mining, Silverton, tourism by billnichols99. Bookmark the permalink.